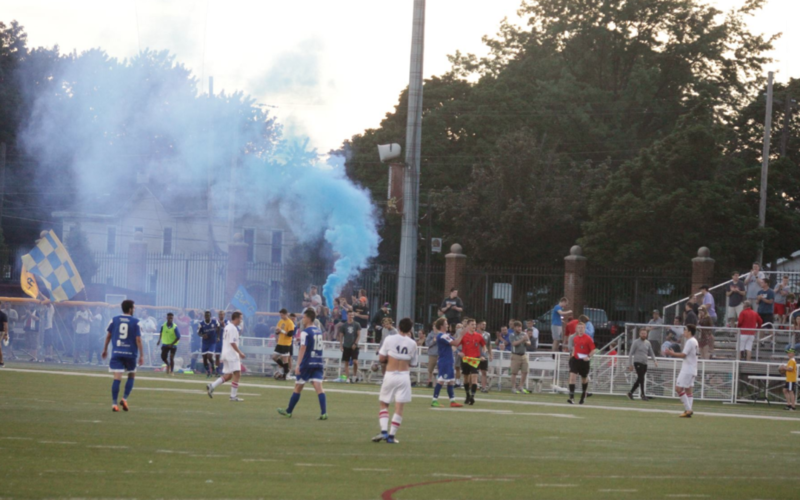 From the NPSL’s conception in 2009, the Erie Commodores have been a force to be reckoned with. The Commodores ended the 2013 season with an all time record of 49-10-11 and a goal differential of +90 to go alongside an impressive win rate of 70%. In their first 5 years of existence, the Commodores appeared in the national championship final as well as 2 appearances in the national semi-final. However, in 2014 the Commodores’ sublime start began to stutter, and their record in the following 4 years was 19-20-9. Erie’s impressive 70% win rate had dropped to 39% and owner John Melody made the decision to bring in a local college coach with a proven track record of success, assisted by a former Commodores player. 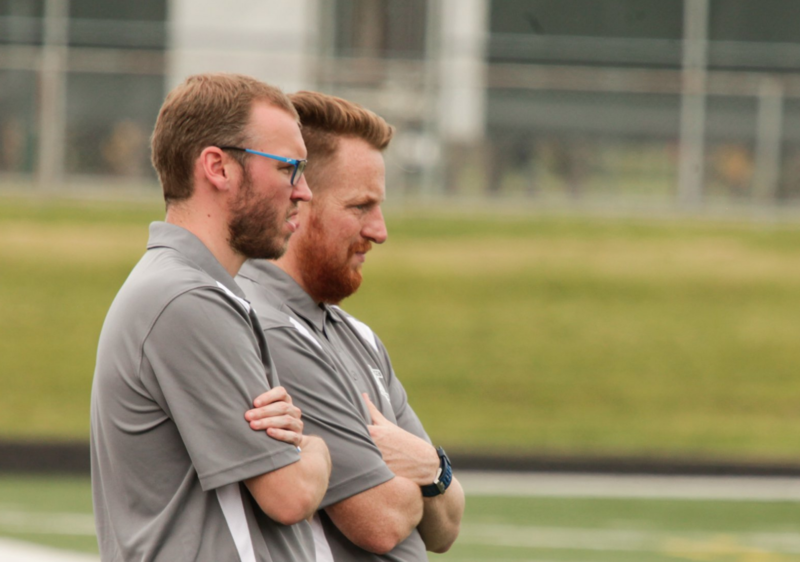 New head coach Dale White and his assistant Billy Colton are bringing a fresh approach to the club, and contacted CoachTech about a potential partnership back in February. In recent years, the access to video and data on games has increased, making it feasible for teams at almost any level to implement video analysis and in some cases make data driven decisions. After discussions regarding resources such as finance and time, the coaching team and CoachTech devised a plan to approach the season. CoachTech’s education courses have proven successful since their launch earlier this year. Professional analysts and coaches from MLS academies, DA clubs, 3 EPL academies and 23 other League 1 or Championship clubs in the UK have taken them, alongside many D1 and D2 coaches in the NCAA. Dale and Billy were given access to our online platform and explored our Evidence-Based Coaching and Opposition Analysis courses. Whether it’s Atletico Madrid’s incredibly disciplined & organized defense, or Man City’s comfort on the ball and offensive positioning, a fundamental aspect of good teams is a defined playing style. CoachTech’s Match Analysis course encourages coaches to develop their own style, and find ways to measure whether their teams are playing according to plan. Coaching is about changing player behavior, and sharing video and information with players is now a fundamental part of modern day coaching. Once Dale and Billy had developed specifics about their style of play, they needed to be able to share this with the players prior to the season. The Commodores won their first game of the season on penalties in the US Open Cup, before being beaten by the USL’s Pittsburgh Riverhounds on the back of a questionable penalty decision. Since then their league form has been exceptional, and performances have improved as the season developed – a positive sign that their methods were working. Evidence-Based Coaching focuses on individuals as well as team wide goals. A former striker for the Commodores and Mercyhurst University, Billy works individually with the Commodores forwards, focusing on their scoring opportunities and shot locations. 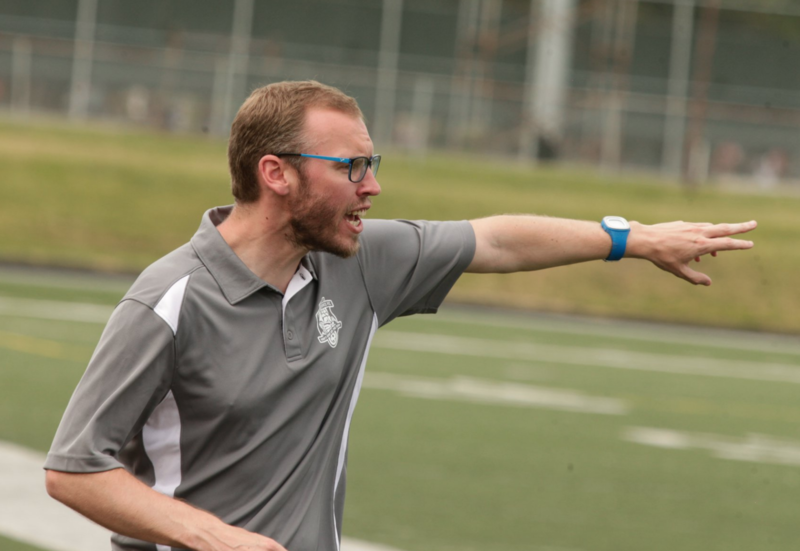 “This module along with crossing one has provided us with statistics to discuss with the team and show why it is important we get into certain positions. We have really focused on getting into key crossing areas and the movement in the box from them areas. We don’t ever just want to throw the ball into the box. We want to work into good areas first. This has had huge success for us. We scored 4 goals against our biggest rivals with all 4 coming from crosses in these areas and 3 of our last 5 goals have come from crosses from key areas”. It seems to have paid fruition as forward Steven Rigg has left the team early to join a professional team in England. The Commodores have returned to their winning ways, having won the regular season conference title. This coming weekend sees the start of their playoff campaign, hosting Cleveland SC at home. Regardless of how the season ends, especially after losing such a key attacking piece, head coach Dale White has no doubts about the processes in place giving the Commodores every chance to succeed. 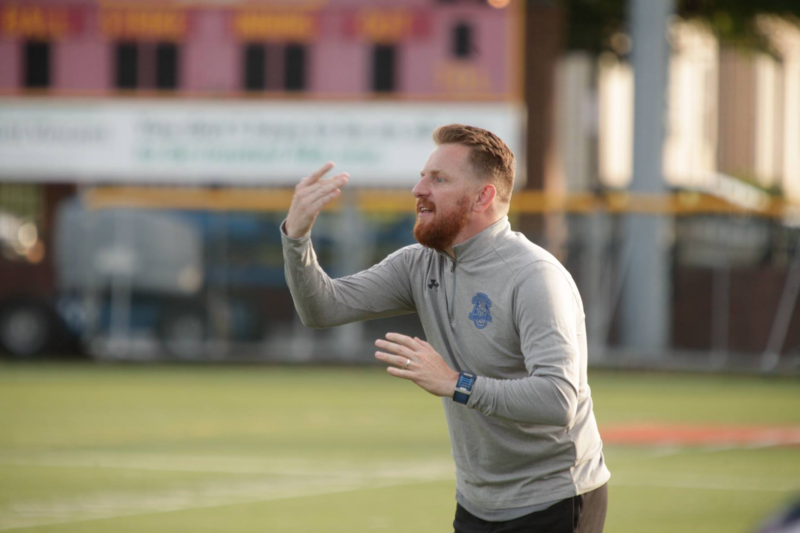 CoachTech founder and Head of Analysis at MLS club Houston Dynamo, had an active role in the consultancy project with Erie, and was impressed with the coaching staff throughout the process. CoachTech offers online coach education on video and data analysis and opposition scouting to coaches of all levels. To find out more please select the “Courses” tab above. For consultancy projects similar to this please feel free to contact us.